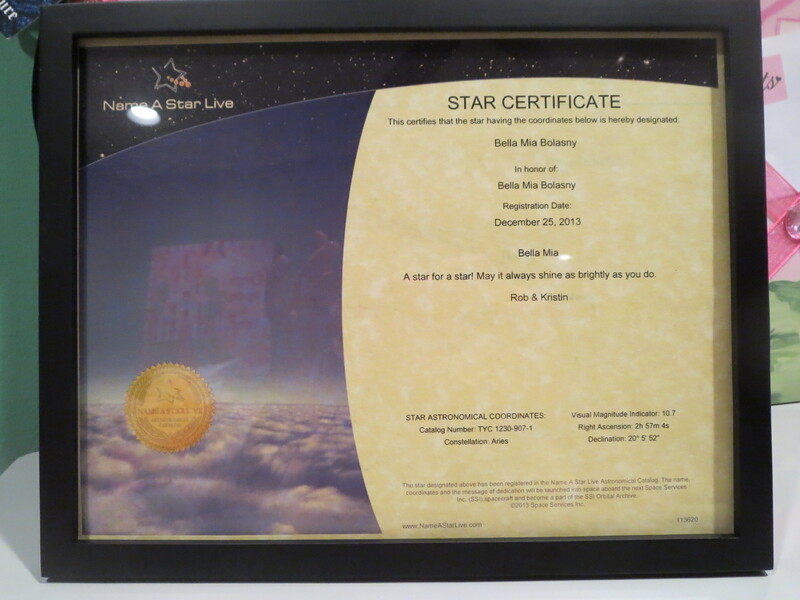 Bella Mia has her very own star given to her by her big brother Rob and Momma Kristin. Her star is in the constellation Aries. It is also the month Bella Mia was born 4/16/2011.